Justin Shearer or Big Chief, as he is popularly known, may be famous for his numerous TV appearances especially in shows like Street Outlaws but there seems to be more to know about the street racer especially the one that concerns his relationship with a fellow car racer Jackie Braasch. Here are facts about the relationship between Jackie Braasch and Big Chief Justin Shearer. Who is Big Chief Justin Shearer? Big chief is a popular American reality TV star and street racer who was born on December 9, 1980, in Louisville, Kentucky in the United States of America. The well-known face in the television industry has always been an ambitious car racer since his childhood days. Even today, his love and passion for his sports life first earned him a place in the hearts of the people of Oklahoma City street racing community and landed him into a bigger job in the television industry. He became a TV personality at the “Midwest Street Cars” which later joined the Discovery’s series, Street Outlaws. His role in the TV series which premiered in 2013, alongside his career in car racing did not only fetch him all the fame, it also fetched him a whopping $2 million as net worth. Daughter of a garage worker Jackie Braasch is a motorsports racer professionally known for being into drag car racing. 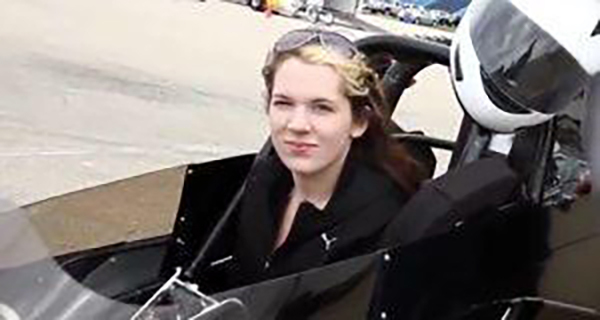 A preschool teacher and member of the women motorsports organization Car Chix, Braasch began her professional racing career after joining the Junior Dragster Division for children. She actively participated in different car racing competitions some of which include the Super Pro and the Rocket Brand Race Fuel Bracket Series which joined to help her win several championships before becoming a part of the Car Chix girl in May 2015. The Car Chix girl organisation is known for organizing several girls racing events some of which include for charities. In addition to her racing career, Jackie Braasch likes to work on cars. This is, of course, what she learnt from her father while working with him in his garage. Her net worth is not yet known but it is believed that she earns handsomely from her passion-driven car racing career. Jackie has a sister known as Erin Braasch, she is also a sports loving person. Jackie Braasch and Big Chief Justin Shearer Relationship – Are They Dating? The internet, as well as various social networks, has recently been buzzing with the news of a possible love life between Big Chief Justin Shearer and Jackie Braasch. This is what we know about Jackie Braasch and Big Chief Justin Shearer Relationship. It is no longer news that the Street Outlaws star Justin Shearer has divorced his wife and mother of his two sons, Alicia Shearer. He apparently met Alicia, a respiratory therapist, long before he became a TV personality. Big Chief was then working at a gas station while Alicia was just leaving her teenage years. The two first became friends and shortly after, they graduated to true lovers, leading to their exchange of marital vows on September 29, 2006, their union was blessed with two boys Cobrin Shearer and Covil Shearer. However, the 10 years gone marriage began to crash in 2017 when rumours began to fly about their divorce. It was later confirmed that Big Chief’s wife Alicia had filed for the divorce after discovering his extramarital affair with Jackie. As the rumour of his love life with the female car racer, Jackie Braasch was going on, Big Chief felt it was necessary to enlighten his fans on what was going on in his family. “ It’s no secret obviously that me and Alicia, my wife of 10 years have been having trouble or whatever you want to call it, well, it is further than just having trouble, we are actually getting a divorce, and that is happening, ” Big Chief honestly said to his surprised audience during The Chief and Shawn show. Currently, Jackie Braasch and Big Chief Justin Shearer have tried to keep an open relationship, he recently stated underneath his picture post of himself and Jackie on Instagram, that both his ex-wife and girlfriend are getting along quite well. Unfortunately, the two appear not to be bordered by people’s opinion about their relationships. They also seemed not to prepare any plans to take their relationship to a new level but their fans are hopeful that Big chief would propose to his newly-found love Jackie Braasch very soon.